When you open a topic (like this one) there is no way of telling what section of the forum it's posted to and there is no way go to that section from that topic. All we can do is go to the home page of the forum. Forum admins, please fix this. Last edited by V@no on 12 Mar 2017 22:41, edited 1 time in total. Ok, the breadcrumbs are already there, they are being covered by the top fixed menu bar. 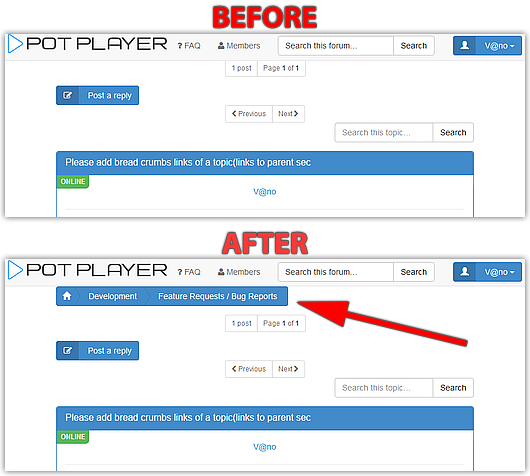 Admins, please fix this in forum's stylesheet. Last edited by V@no on 27 Nov 2017 01:33, edited 2 times in total.